Oliver Martin Johnston, Jr. was an American motion picture animator. He was one of Disney's Nine Old Men, and the last surviving at the time of his death from natural causes. He was recognized by The Walt Disney Company with its Disney Legend Award in 1989. His work was recognized with the National Medal of Arts in 2005. He was an animator at Walt Disney Studios from 1935 to 1978, and became a directing animator beginning with Pinocchio, released in 1940. 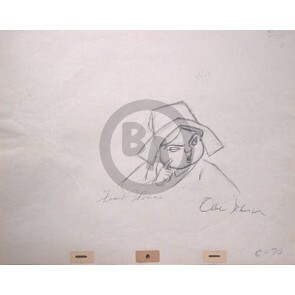 He contributed to most Disney animated features, including Snow White and the Seven Dwarfs, Fantasia and Bambi. 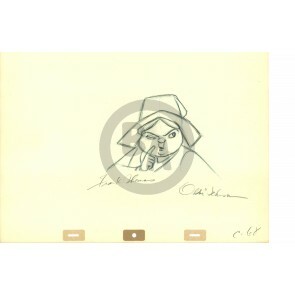 His last full work for Disney came with The Rescuers, in which he was caricatured as one of the film's characters, the cat Rufus. Johnston co-authored, with Frank Thomas, the reference book Disney Animation: The Illusion of Life, which contained the 12 basic principles of animation. This book helped preserve the knowledge of the techniques that were developed at the studio. The partnership of Frank Thomas and Ollie Johnston is fondly presented in the documentary Frank and Ollie, produced by Thomas' son Theodore.